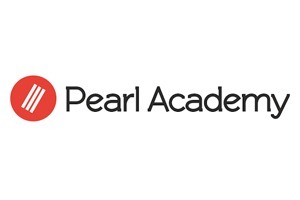 Pearl Academy, India’s leading institute of Design, Fashion and Media has announced Who’s Next scholarships for 2019 for top 25 students to foster academic excellence, nurture creativity and help them build successful careers for themselves. This is Pearl Academy’s unique initiative of investing into the future of creativity. Top five successful students will be awarded 100% scholarship on tuition fee for the entire duration of the course. Another 20 successful students will be awarded 50% scholarship on tuition fee for the course. To apply for the scholarship, students would need to submit a statement of purpose along with the application form. These scholarships will be applicable for both UG & PG programs and the last date to apply is 20 April 2019. Candidates will be shortlisted basis their scores in Pearl Academy entrance exam and their statement of purpose. The shortlisted candidates will then be invited for a personal interview with an esteemed jury, at Delhi, Mumbai and Jaipur campuses on 17th May 2019. Scholarships will be awarded to students with the best creative calibre basis recommendation of the interview panel. A similar scholarship drive was introduced in the Year 2015 where Pearl Academy awarded Who’s Next full scholarship to ten meritorious students. These students are graduating this year and have been placed in global tech giants and MNCs like Accenture and TCS with attractive packages. For the last 5 years, over 96% of students have been placed every year from Pearl Academy in leading firms and business establishments. Pearl Academy has been nurturing creative minds for over 25 successful years. From being the Best Design Institute in India in ASSOCHAM Education National Excellence Awards to being the first and only Indian institute to be ranked amongst the top 25 colleges in BoF Global Fashion School Rankings 2017 (Graduate), Pearl Academy has been winning recognition both at national and international levels.